These replacement stoppers are identical in appearance to the originals. The only difference is -- they do not unscrew to dispense perfume. The parts of the stopper are -- the metal crown-shaped top or finial, the flat round plate just under it, and the metal post attached to the plate. The cork is attached to the post. The size of the stopper is determined by the diameter of the plate which is the part that sits on top of the bottle opening. Measure the overall diameter of the opening -- from outside edge to outside edge, including the porcelain on both sides. The corks are the same size. To fit the cork to the opening of the bottle, use an emery board - not a metal nail file, knife or razor blade. If you have questions, please email Pauline: scentserely@gmail.com. NEW REDUCED PRICE: $10.00 each - any size. The stoppers pictured above are gilded. Both sizes are also available in a bright silver-colored metal -- same price. Buyer pays for actual shipping costs. 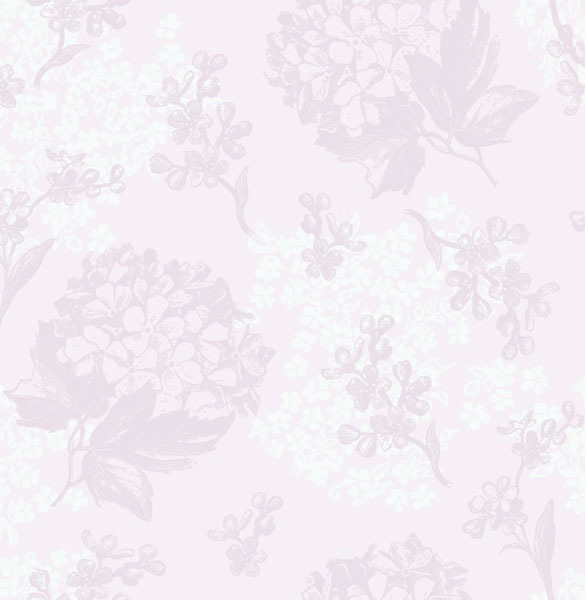 Insurance is strongly recommended on orders of $50. or more. If insurance is declined, the buyer will have no claim for a refund from the U.S. Postal Service for lost or damaged merchandise. We are not responsible for uninsured packages. Crown top perfume bottles were manufactured primarily between 1920 and 1939. They are identified as such because they originally came with metal stoppers in the shape of a crown. 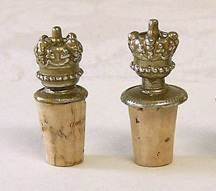 Some crown stoppers unscrewed to allow the perfume to be sprinkled out. Over the years, some of the corks disintegrated, the stoppers fell out, were separated from the bottles, and were lost. I never passed up a crown top bottle because the stopper was missing. So, as my collection grew, it was inevitable that I would acquire some crownless bottles. I thought stoppers could be found at perfume bottle conventions, antique shows or the internet. Not so -- they are even harder to find than the bottles themselves. A crown top bottle without a crown stopper just doesn't look like a crown top. I was frustrated, but determined to find a solution to the problem. It took about three years, but the right person was found to recast the stoppers from the originals. I'm delighted to make these replacement stoppers available to crown top collectors.